An arrest report revealed new details about the pickaxe attack near Las Vegas Boulevard and Owens Avenue on July 11. 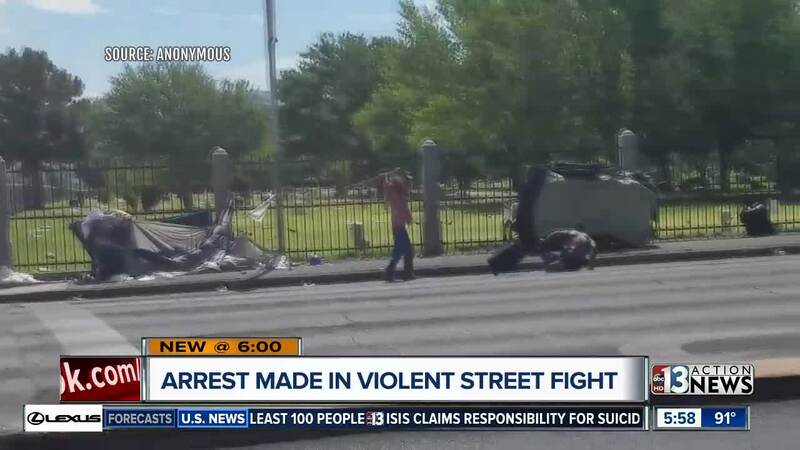 UPDATE ON JULY 13: An arrest report revealed new details about the pickaxe attack near Las Vegas Boulevard and Owens Avenue on July 11. The man with the pickaxe was identified as Ut Van Nguyen. According to the report, both he and the man he attacked are homeless. In an interview with police, the unidentified that was attacked told police that he often buys meth from Nguyen. He also said that the fight started because of complications from a drug deal. The man who was attacked sustained a laceration to his left arm after being struck by the pickaxe. Nguyen is being held without bail. Records show he's due back in court in September. 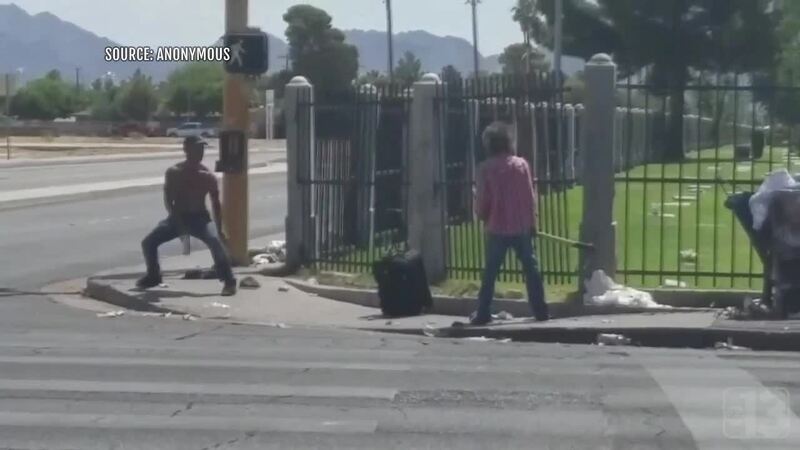 LAS VEGAS (KTNV) -- A man headed to a bus stop caught a wild attack involving a pickaxe on camera near Las Vegas Boulevard and Owens Avenue, an area known for its large homeless population.